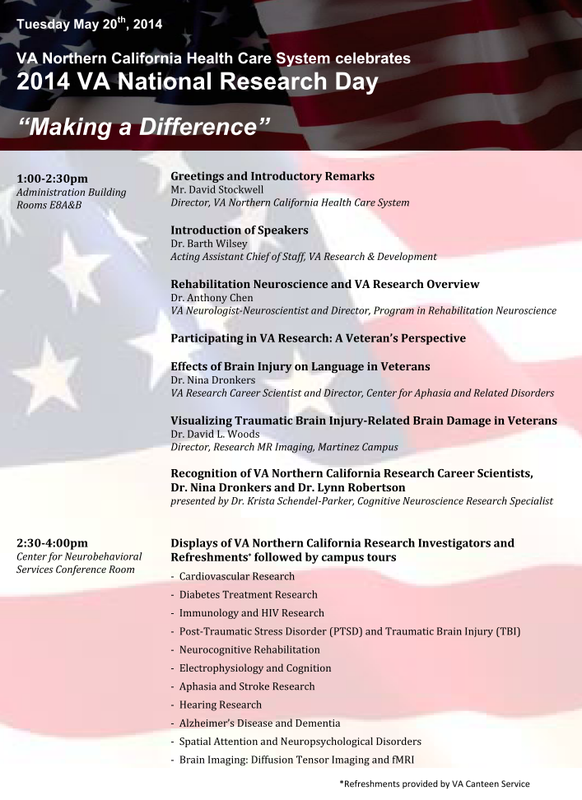 Please join us Tuesday May 20 for the VANCHCS celebration of Research Week (http://www.research.va.gov/researchweek/). We’ll be having talks and demonstrations of our work here on the Martinez Campus. Refreshments will be provided. Click here for a PDF of the agenda (shown above).